Echo Lake is a wonderful and secluded sailing lake. There are scenic islands and most days there is just the right amount of wind to keep you going merrily on your way. We have a large fleet of Pointer 14′s, Lasers, Hobie Waves and Sunfish, and you will have terrific instructors taking you out after you’ve gotten the fundamentals on dry land. Once you are confident and safe to go out on the lake with your friends, you will be so proud of yourself. 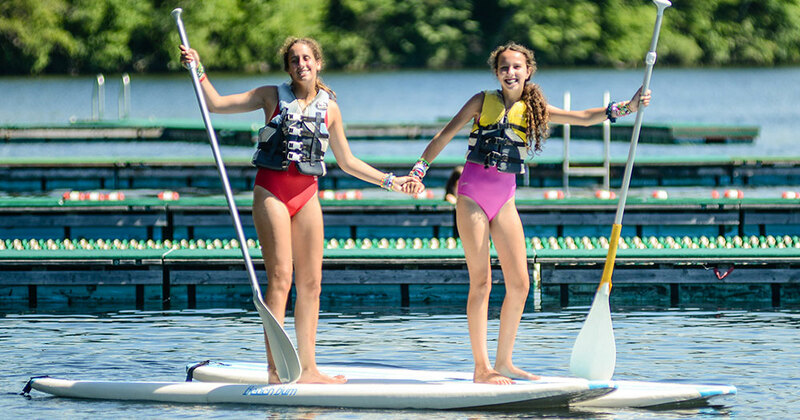 You will also have the opportunity to learn how to Paddleboard, Kayak and Canoe!